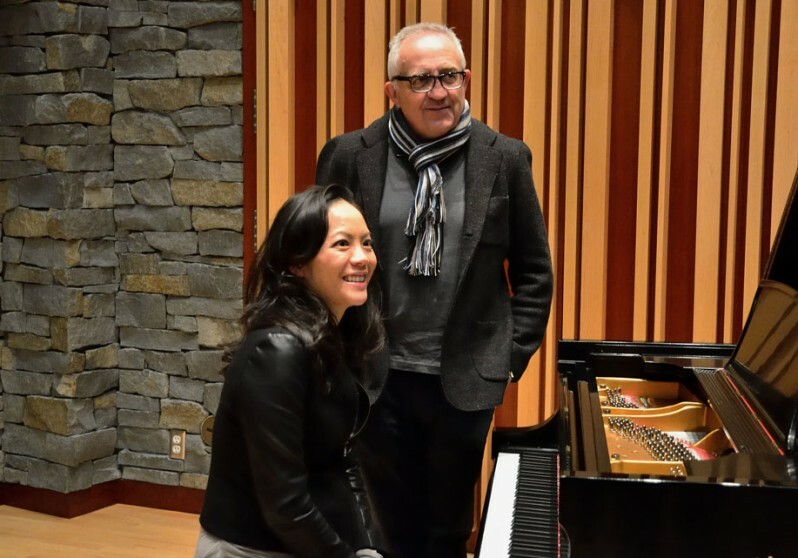 The Vancouver Symphony Orchestra (VSO) performs the world premiere of a new work by JUNO Award-winning Canadian composer Vivian Fung, commissioned by the Vancouver Biennale. Approximately 25 minutes in duration, in five movements, this VSO 2015 season opening will take place on September 26 & 28 at the Orpheum Theatre with the Grammy Award-winning conductor and renowned composer Maestro Bramwell Tovey. Fung is known for exploring a diversity of cultures in her music, and five distinct artworks by renowned Contemporary artists from China, Brazil, India and Australia featured in the current Biennale exhibition are the creative inspiration for the multi-movement work. Starting with quiet, whispering tones reminiscent of Sumakshi Singh’s meditative Breath Song, the composition moves to an earthy colourful palette of undulating chords inspired by the environmentally conscious Blue Trees of Konstantin Dimopoulos. The third movement has a grungy urban-music quality, with the fantastical street art of OSGEMEOS Giants as the inspiration point. Ren Jun’s elegant Water #10 inspires the next movement, very fluid and amorphic, like water suspended in air. The conclusion is a forceful burst and loud call to action, as influenced by the defiant F Grass and social activism of Ai Weiwei. The result is a wonderfully textured musical celebration of the Vancouver Biennale by one of Canada’s “must hear” Contemporary composers. Like the Biennale itself, Fung crosses traditional boundaries and provides an exhilarating sound portrait of an exhibition that brings a diversity of great art to public space, creating a catalyst to learning, community engagement and social action.